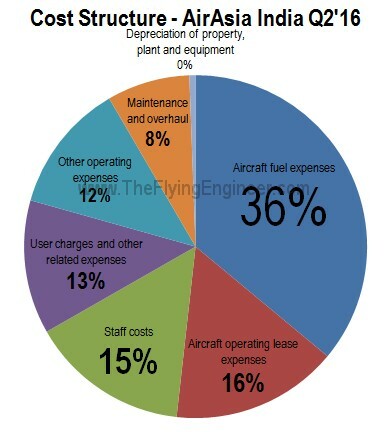 Today, India, for the size that it is, has only four airlines that fly international: Full service carriers (FSCs) Air India and its subsidiaries, and Jet Airways, and Low cost carriers (LCCs) SpiceJet and IndiGo. This is in contrast to the 10 airlines that operate domestic scheduled services in India, today. While Indian carriers flew 81 million domestic passengers in calendar year 2015 (CY2015), Indian carriers flew only 18 million passengers in the same period. Only two airlines/airline groups operate short, medium and long haul international services: Air India and Jet Airways. Both airlines have diverse fleets: from short haul domestic ATR 72 turboprops to long haul international Boeing 777s. The LCCs in contrast have narrowbody jets that can cater only to short haul international services. Due to the limitations of fleet and perhaps the lack of commercially attractive international destinations, LCCs IndiGo and SpiceJet deployed only 4.8% and 9.5% of their total flights on international, in CY2015. In contrast, Jet Airways (Including operations from the Jetlite AOP) deployed 22.1%, while Air India (Including Air India Express and Air India Regional (Alliance)) deployed 32.7% of its total flights on international. Air India and Jet Airways together contribute to 84.5% of all international departures by Indian carriers, while IndiGo and SpiceJet contribute to just 8.8% and 6.8% respectively. This statistic shows IndiGo and SpiceJet are very small players in the international front, serving destinations at neighbouring countries. IndiGo operates only to five international destinations: Kathmandu (Nepal), Muscat (Oman), Singapore (Singapore), Bangkok (Thailand), and Dubai (U.A.E. ), while SpiceJet operates only to six international destinations: Bangkok (Thailand), Colombo (Sri Lanka), Dubai (U.A.E), Kabul (Afghanistan), Male (Maldives), and Muscat (Oman). Air India and Jet Airways started operations before the 5/20 rule was instated in the year 2005. IndiGo and SpiceJet started operations after the 5/20 rule was introduced. The 5/20 rule requires airlines to operate domestic services for a minimum period of five years, after which it can fly international only if the airline has a fleet size of 20 or greater. Air India Express was the only airline to start immediate international operations (although on an AOP different from Air India) after the 5/20 rule was introduced. The first flight of the airline was an international flight. 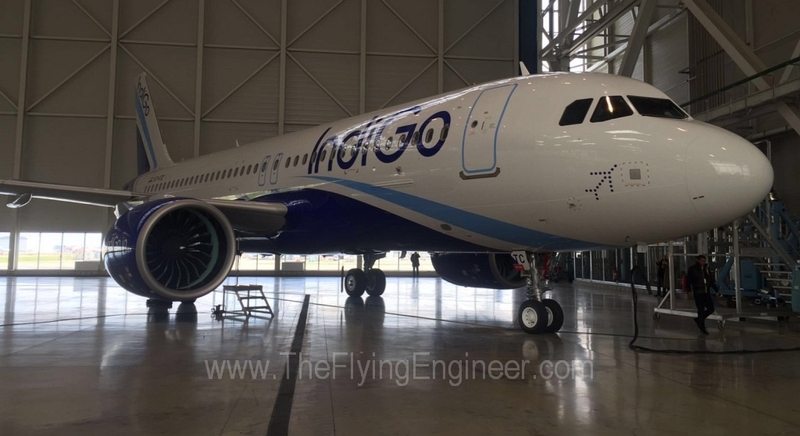 Neither IndiGo nor SpiceJet fought the 5/20 rule at that time as the focus of both airlines then, as it is today, is to tap the potential of the domestic market. SpiceJet started international operations in October 2010, while IndiGo commenced international operations in September 2011. Despite both LCCs having started international operations nearly five years ago, when the scale of domestic operations were smaller, both airlines chose not to focus on international operations. (See IndiGo’s fleet induction, here) Both airlines always had the option of inducting larger aircraft to serve destinations beyond the surrounding Asian and Middle East countries. But such is not their business model. As a result, the only Indian carriers to majorly serve international are Air India and Jet Airways, both of which were not ‘victims’ of the 5/20 rule, whereas IndiGo and SpiceJet, which chose to focus on domestic even though they started international operations five years ago, are ‘victims’ of the 5/20 rule, strongly opposing the removal of the a rule that means nothing, and does not impact either airline..
Go Air started operations in the year 2005, but chose not to increase its fleet beyond 19 aircraft. 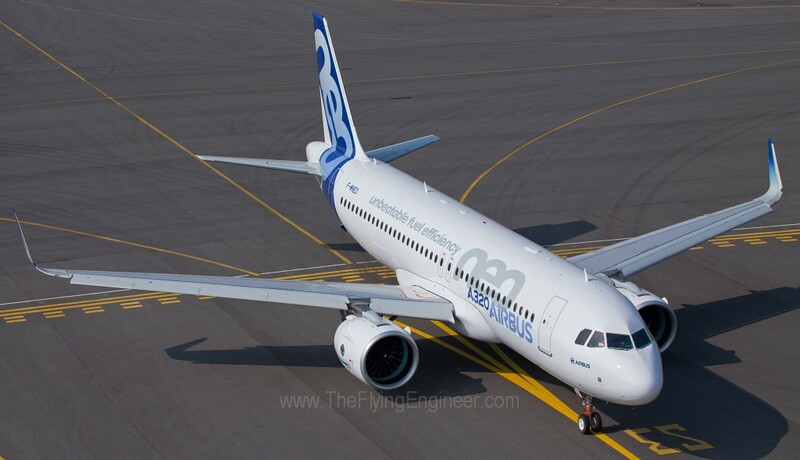 It deferred its 20th aircraft, which was readied by Airbus. As a result, the airline does not fly international, and seems to have no issues remaining a domestic player. Yet, the airline opposes the removal of the 5/20 rule, though it chose not to operate international. In the quarter ending 31st December 2015, a total of 12.6 million international passengers were carried by both Indian and international airlines. Of that number, Indian carriers flew just 4.5 million passengers, or just 36% of the total traffic. India is underutilising its bilaterals, due to restrictions placed by rules such as the 5/20. For the purpose of this case, and for want of time, we consider only three international destinations: Singapore, Bangkok, and Kuala Lumpur. As of late February 2016, there are three airlines from Singapore that operate to 13 destinations in India. Singapore Airlines, Tiger Airways and Silk Air together operate 134 flights per week to India, from Singapore, and an equal number of return flights. Together, the airlines deploy 30,517 seats per week between Singapore and India, in each direction, using a variety of aircraft: Airbus A319s, A320s, Boeing 737-800s, Airbus A330s, Boeing 777-200s, 777-300s, and Airbus A380. In contrast, three Indian airlines (four if you count Air India Express separately) connect Singapore to only four destinations in India. Air India, Air India Express, Jet Airways and IndiGo together operate 63 flights per week between the two countries. Together, the airlines deploy just 13,244 seats per week between Singapore and India, in each direction, using Airbus A320s, Boeing 737-800s, Airbus A330-300s, and Boeing 787-8s. Thai Airways, Thai AirAsia, and Bangkok Airways operate from Bangkok to eight destinations in India, flying 73 flights and deploying 19,497 seats per week, Using Airbus A320s, Boeing 747s, 777-200s, 777-300s, Airbus A330-300s, and Boeing 787-8s. In contrast, SpiceJet, IndiGo, Jet Airways and Air India together operate 62 flights, deploying 12,474 seats per week, from four Indian destinations to Bangkok, using Airbus A320s, Boeing 737-800s, 737-900s, and Boeing 787-8s. From Kuala Lumpur, AirAsia Berhad, AirAsia X, Malindo, and Malaysian Airlines operate 180 flights to 12 Indian destinations, deploying 32,903 seats per week between Malaysia and India, using Airbus A320s, Boeing 737-800s, 737-900s, and Airbus A330-300s. In contrast, only Air India Express operates to Kuala Lumpur, connecting only Chennai to the Malaysian capital with 4 weekly flights and deploying 744 seats per week. While not all destinations are commercially viable, there is a huge mismatch between the capacity deployed by foreign carriers, and the capacity deployed by Indian carriers, on the same set of routes. Infact, the superior connectivity offered by foreign carriers is not matched by Indian carriers, leaving a large scope for more Indian carriers to boost the Indian economy while also providing international passengers seamless domestic connectivity. The 5/20 rule must go if India should see it’s own airlines connect India with the rest of the world. The Federation of Indian Airlines (FIA), have something against the airlines of the Father of Indian Aviation (FIA), Late JRD Tata. The Tata’s have already done enough to promote connectivity within India: TATA airlines was renamed Air India. The FIA (Federation) is shaken by the prospects of airlines such as Vistara and AirAsia India. The goal of the FIA is to restrict the operations of such airlines to within India, so that players like the market leader can use its low cost base to lower fares on every route such airlines fly, and bleed the airlines dry. Starting with the smallest and the least capitalised airlines, airlines will knock off the Indian scene, one by one, leaving only a few to operate in India, with the market player enjoying a huge monopoly in setting fares. At that point in time, India will suffer, with neither good international connectivity, nor with strong domestic competition nor worthy alternatives. While the FIA blames consultancy firm KPMG of auditing Singapore Airlines and consulting for the government, it remains silent on consultancy firm CAPA. CAPA India, in its Aviation Outlook 2016, stated, “Despite repeated statements by the Minister that there is no logic to the 5/20 rule and that it should be abolished, the discriminatory regulation still remains in place”. Guess which consultancy firm’s services was sought for IndiGo’s Red Herring Prospectus? CAPA India. Bombardier, manufacturer of the world’s largest western civilian turboprop aircraft, the DHC-8 Q400, today launched the 90 seat variant at the Singapore Airshow, making the largest airplane even larger in terms of capacity, without so much as stretching the airplane by an inch. The Q400 usually seats 78 passengers in a single class with a 30 inch seat pitch. In 2013, Bombardier had launched the 86 seat variant of the Q400, with Nok Air of Thailand as the launch customer. 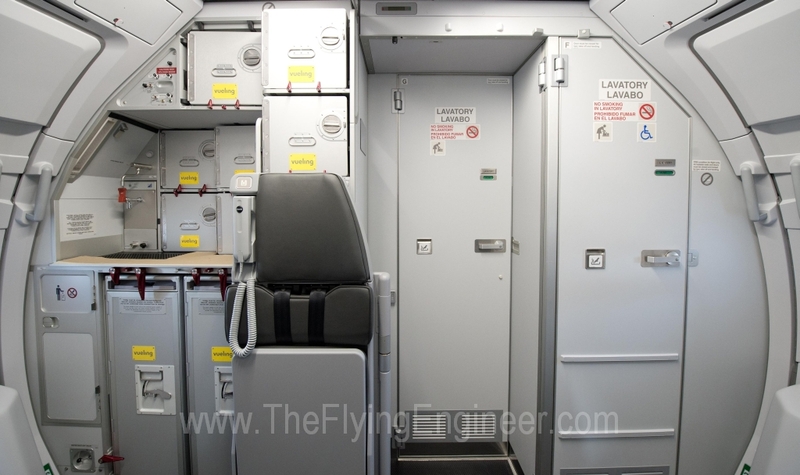 The 86 seat variant offered a seat pitch of 29 inches, by shifting the aft galley into the aft cargo hold, thereby reducing aft cargo space by 20%, and doing away with the forward baggage hold. Then, in December, ATR received EASA certification for a 78 seat variant of its ATR 72-600 (click here to read), which offered a single class seating with 28 inches seat pitch, with Cebu Pacific of Philippines as the launch customer. This made the case for Bombardier to announce a 90 seat variant with a seat pitch of 28 inches. To add an extra 4 seats, or one row, Bombardier is, according to Flightglobal, will push back the rear bulkhead and reconfigure the front right hand door. To make the airplane more attractive, Bombardier is increasing the 90 seat variant’s payload by 900 kg, and proposing an escalation of the A-Check and C-Check intervals from 600/6,000 to 800/8,000 flight hours. The 90 seat variant is expected to enter service as early as 2018, provided Bombardier secures a launch customer for the type. Why at the Singapore Airshow? There are four reasons why ATR and Bombardier are focusing on South East Asia. First, the geography and infrastructure of countries is such that connectivity within the country is best offered by short haul air transport. Second, the region is comprised of developing nations, where the end customers, the passengers, are very price sensitive. Third, demand for travel is rising. Fourth, the average height of the population is much shorter than the western world. Turboprops are excellent for short and thin routes. Average ticket prices can only be lowered if the cost per seat falls further. The same airplane packing more seats lowers the cost per seat per flight, which allows airlines to compete better using pricing as a tool. The 90 seat variant may reduce the cost per seat by as much as 11-13% when compared to the 78 seat variant, and by 3-4% when compared to the 86 seat variant. Packing more seats reduces the seat pitch, which would have been a repulsive product to sell to passengers in the western world. But in South East Asia, the lower average height makes a 28 inch seat pitch comfortable. South East Asians are, on average, one of the shortest in the world. Bombardier had launched the 86 seat variant at Dubai, but the launch airline is from a South East Asian country. Knowing that any demand for ultra high density aircraft variants will only come from Asia, Singapore Airshow 2016, Asia’s biggest commercial aerospace and defense exhibition, had to be the platform of choice. IndiGo performed well in Q3’16, but was it the airline’s best quarter in the fiscal in terms of performance? We dive into the numbers, comparing Q3’16 with three other quarters, while forecasting the airline’s performance in Q4’16 – the current quarter. Click here to access the analysis. The year 2015 has been a remarkable year for Indian domestic aviation. The growth in domestic passenger numbers, and the start of many new airlines, has undoubtedly led everyone to believe that 2015 is the third boom in Indian aviation. 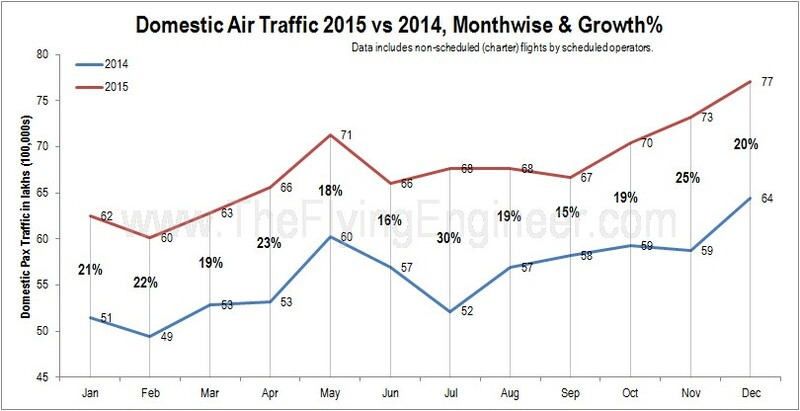 But how did 2015 register a strong 20% growth in domestic passengers? Was it mere addition of capacity, or was it more? What triggered the growth? This and more, when you click here. Air Costa on Saturday the 19th, received its third Embraer E190 at Ammam, Jordan. The aircraft’s original lessor is GE Capital Aviation Services (GECAS), and the aircraft previously flew for Saudi’s Flynas. The aircraft is one of two E190s earlier destined for another southern regional yet-to-start airline in India. Both airplanes, MSN 217 and MSN 233 have now been leased by Air Costa. Both aircraft are aged 7 years, and configured with 110 seats in a single class. The first aircraft, which will be registered VT-LPB, is expected to tomorrow (21st December) fly into Delhi. Air Costa presently operates two E190s, MSN 593 and MSN 608, which are the E190 STD variant. The ones from Flynas are the E190 LR variant, which have a maximum take-off weight that is 2,500 kg heavier, allowing it up to 900 km (500 nautical miles) longer range when compared to the E190 STD, when flying with a load of 100 passengers. The first of the two E190STD aircraft is expected to enter service on the 26th of December, 2015. On the 25th, Air Costa’s E190STD VT-LVR (MSN 608) will fly out to Jordan for scheduled heavy maintenance. The maintenance-bound aircraft will operate a special Chennai-Bengaluru flight LB712, before proceeding to Jordan. The active fleet at the airline will remain at 3 aircraft, until VT-LVR returns from maintenance, to take the fleet to 4 active aircraft. In November, the airline returned one of its 67 seat E170s (VT-LSR / MSN 278), which took the active fleet down to 3 aircraft. The other E170’s (VT-LNR / MSN 293) lease contract was extended by another nine months. The third E190 will therefore result in no net additions to Air Costa’s fleet size. Activities such as return of aircraft, and scheduled and unscheduled maintenance of aircraft have led to numerous flight cancellations that threaten profitability in the peak season. Air Costa had last year reported a modest profit in the month of December. Fuel prices have fallen, since then. Air Costa recently received a no objection from the Ministry towards securing a pan India air operator permit (AOP). According to news sources, Air Costa plans to induct the fourth E190 in February 2016, and commence pan India operations in April 2016. By then, the airline will have a fleet of 5 active aircraft. The airline completes 30 months of operations in March 2016. 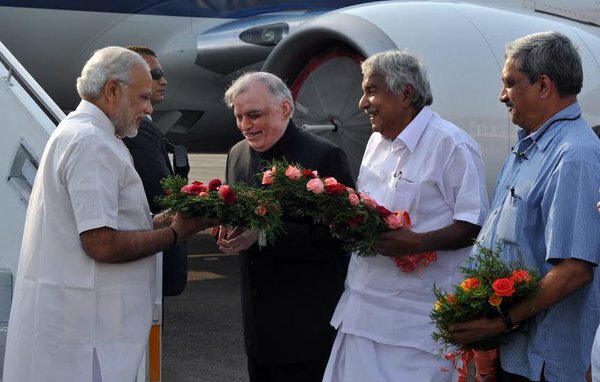 Today, Prime Minister Narendra Modi flew into Cochin from Delhi on Indian Air Force One, operated by an Indian Air Force Boeing 737-700 Boeing Business Jet (BBJ) with tail number K5014. The way in which the airplane was flown was interesting, and different from the way in which a similar aircraft operating for a scheduled airline is flown. We compare the way in which the military 737 was flown, with the way in which a commercial 737-800 was flown on the same route. The 737-700BBJ’s lateral flight path is compared with the lateral flight path of a Boeing 737-800 VT-SZA operated by SpiceJet today on Delhi-Cochin as SG 561. What stands out is that the flight path of the military 737 is curvy, and not straight unlike the SpiceJet 737, strongly indicating that the flight was manually controlled, either by being hand flown throughout or by manual heading inputs to the autopilot. It does point to neither the autopilot’s VOR/LOC function, nor the FMS-controlled lateral navigation being used. 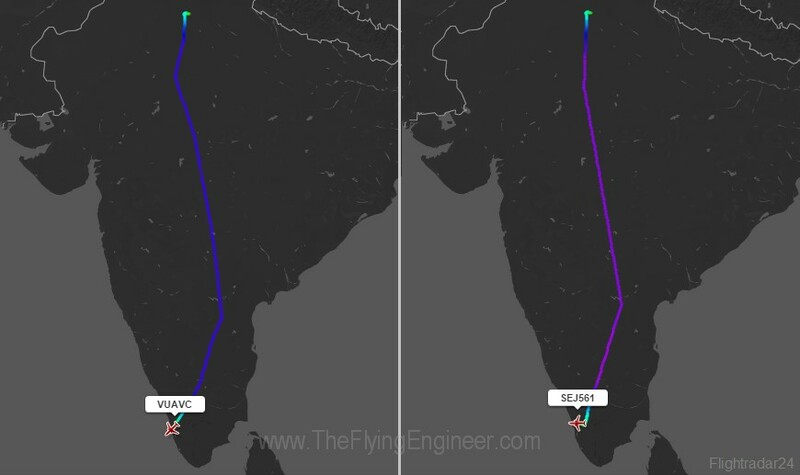 The vertical flight path shows that the Prime Minister’s flight (image on the left shows Him beside the 737 at Cochin) was not optimized for fuel burn. The aircraft climbed to 31,000ft (odd level altitude) when headed in the easterly direction, and as it changed direction over Hyderabad to a westerly direction, the aircraft descended to 30,000ft (even altitude). A BBJ, usually being light, can fly much higher than 31,000ft. The optimum altitude for an airplane gets higher as it gets lighter, and it could have step climbed rather than step-descended over Hyderabad. The SpiceJet 737, in contrast, flew at 37,000ft till over Hyderabad. By then, the airplane was lighter, having burnt most of the flight’s trip fuel. Over Hyderabad, when turning towards Cochin, it step climbed to 38,000ft – just as one would expect for optimal fuel burn. A valid argument would be the winds at altitudes that could have impacted the military 737’s decision to fly at a lower altitude. The SpiceJet flight and the military 737 flight were 5 hours apart. However, IndiGo’s VT-IEM operating 6E 289 DEL-COK took off just 28 minutes after the Air Force 737, climbed to 35,000ft and then to 36,000ft over Hyderabad. 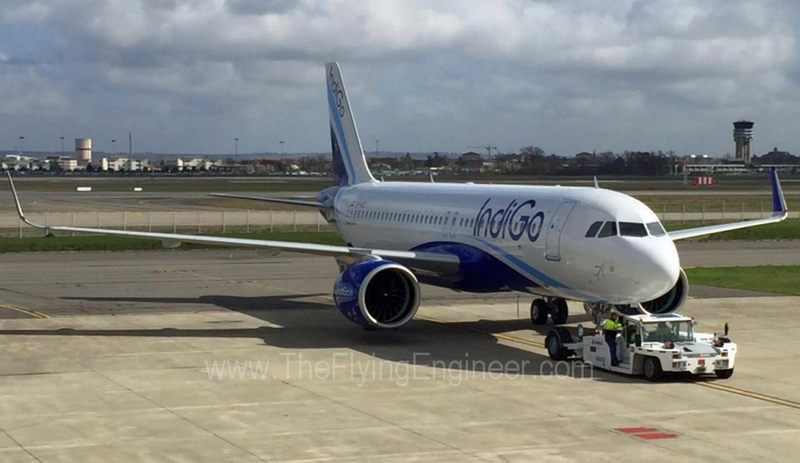 IndiGo’s aircraft in fact picked up 13 minutes enroute, to land just about 15 minutes after the Air Force 737, clearly showing that winds at higher altitude were not unfavourable. The intent of this piece isn’t to highlight who flies better, but rather to appreciate some of the differences between air transport flights in the military and in the commercial world. Vastly different priorities may explain the differences in flying. In the airline world though, it is all about minimising costs at every little opportunity. Thanks to Karthik Kumar for the image of K5014. 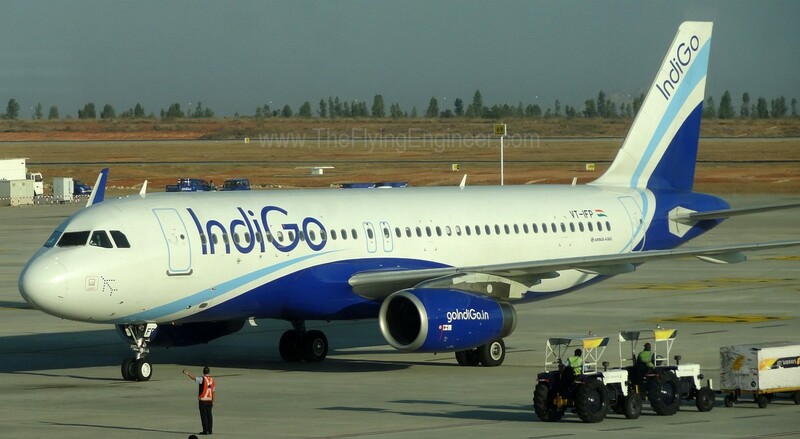 IndiGo will launch a direct daily flight between Delhi and Trivandrum (Thiruvananthapuram) on 7th January 2016, making it the longest domestic direct daily flight to be presently offered in India, with a block time of 3:15 hours. 6E 533 will fly DEL-TRV effective 7th January 2016, and 6E352 will fly TRV-DEL effective 8th January 2016. No other operator offers direct flights between the two cities. The flight will cover a great circle distance of 1201 nautical miles (NM) or 2,224 km. Presently, the longest direct daily domestic flight in India is between Mumbai and Guwahati, operated only by IndiGo, with a great circle distance of 1,119 NM and a block time of 3:00 hrs from BOM-GAU, and 3:30hrs from GAU-BOM. The 30 minute difference is due to headwinds when flying from Guwahati to Mumbai, which serve as tailwinds when flying from Mumbai to Guwahati. Thanks to Ameya: The longest domestic flight is Port Blair – Delhi (1,339 NM) operated by Air India regional on their CRJ 700s on Fridays and Sundays. Air Costa’s active fleet reduces to 1 active aircraft today, operates 8 flights as it returns its second Embraer E170. Air Costa today flew only one aircraft, its Embraer E190 registered VT-LVR. VT-LNR, the lone Embraer E170 in Air Costa’s fleet operated its last commercial flight yesterday. 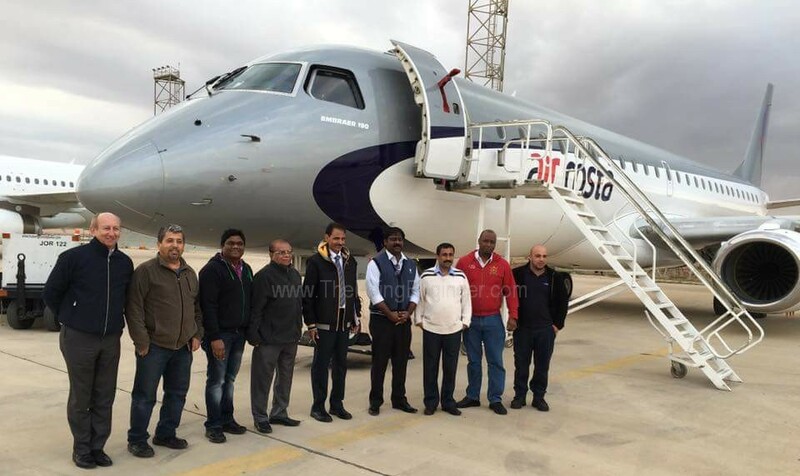 Sistership VT-LSR was flown to Lisbon and returned to the lessor on 22nd November. The E170 will be tomorrow (28th November) be flown to Jordan’s capital, Ammam, as its lease comes to an end. Today, Air Costa operated only 8 flights: MAA-AMD-BLR-JAI-BLR-HYD-BLR-AMD-MAA, resulting in the cancellation of 28 flights. The airline was supposed to have resumed operations of its other E190, VT-LBR, today (27th November). However, the aircraft is on its return from Jordan at the time of writing this. VT-LBR is flying into Bengaluru, from where it will operate a non-commercial ferry to Chennai early next morning, from where it will operate scheduled flights. From tomorrow (28th November) onwards, Air Costa is expected to operate 16 flights a day, with 2 Embraer E190s. The MAA-HYD-VTZ-BLR-VTZ-HYD-MAA-JAI-MAA pattern, which was suspended since 16th November, will be resumed. With the return of the E170, flights to Coimbatore, Tirupati and Vijayawada remain suspended till 4th December. The airline’s website reflects flights on the VGA-BLR-CJB-HYD-VGA-HYD-TIR-HYD-CJB-BLR-VGA pattern available from 5th December. This pattern will be operated by the Embraer E190, suggesting that the E190s are expected by the 5th of December. However, the 4th pattern for the E190s could not be determined. The airline may perhaps not be able to secure its pan-India AOP until the 5th Embraer E190 is inducted into its fleet. Air Costa’s flight cancellations in the month of November has been very high, and may have the highest cancellation rate among all airlines for the month.